2013 was a milestone year for Canonical. Not only did Ubuntu expand its wings to other arenas like tablets and smartphones, it also propelled itself into the world of gaming. With major milestones like Steam, Ubuntu Edge, and Ubuntu Touch under its belt, Ubuntu has its eyes set on convergence in 2014. That said, you won't get to see a convergent desktop this year. 2014 is just a setting stage for Shuttleworth's ambitious plans to spread the reach of Ubuntu to every device. Since 2013 for Ubuntu was a roller coaster ride, this year, we expect much more from Canonical. End users, system administrators, and even programmers, have different expectations from the world's favorite open-source desktop. And yes, there is no doubt that Canonical is working very hard to get there. 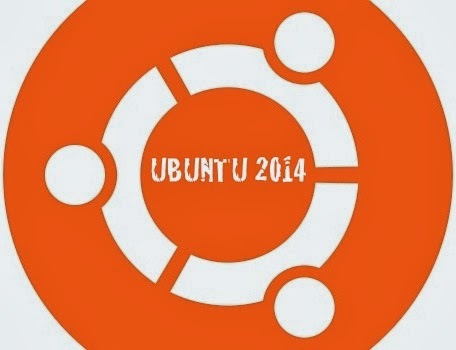 As the year begins, we too have our own expectations from Ubuntu in 2014. As demanding as we may seem, here's a list of a few of our expectations. A whole new icon set is something Ubuntu users have been waiting for for years. The old icon set has been around for quite a while now and frankly, many users have gotten rather bored of it. We expect Canonical to match the desktop to the same rigorous design standards that Ubuntu Touch keeps. Also, keeping in line with the latest flat trends would be a great thing. Everyone from Twitter to Apple is making sure they follow the trendy flat design, which will be around at least for the next 5 years. Finally, the icon set should be congruent with the design of Ubuntu on other devices. Having different icons on different devices is definitely a no-go. Ubuntu 13.10 disappointed many users for its lack of novelty. As much as we love the hardworking Canonical team, we have to say the release left a lot to be desired. Apart from the wallpaper set and a few changes here and there, aesthetics for the salamander weren't as saucy as we'd expected. Even if Canonical focuses on stability and performance in 14.04, we'd like some eye-candy, at least to satisfy the novelty-seeking inner child in us. So, Mark Shuttleworth, if you're reading this article, please make sure you include a new theme and a default wallpaper that isn't just a color inversion of the older one. Though the Software Center in its current incarnation is fast and satisfying, we believe that there's still more work that can be put into the application. After all, with the blooming mobile craze, the App Center has become one of the most important parts of the operating system. Currently, upon opening the software center, all the users see are applications that are geared towards developers and enthusiasts. The front page needs a little revamp to showcase the best of USC. We expect that 2014 will be year wherein developers would have it easier when it comes to publishing their applications. The approval process is in dire need of a speed up so that maximum developers can get benefit from it. Furthermore, Canonical also can actively encourage users from the community to develop more apps by giving them incentives through developer contests. Yep, you heard that right. We want Canonical to include an e-book reader app in the desktop OS. Ubuntu, as of now, lacks a decent e-book reader. While Calibre is there, it's not as good as we hope it would be. An e-book reader app is definitely a good investment if Ubuntu has to gain some traction in the tablet department. The new Smart Scopes service is good. However, it isn't up to the mark and sometimes throws the wrong results. We're hoping Canonical puts some energy into improving this service. There's a lot in the service that needs tweaking till it becomes a powerful feature users can rely on. Though Ubuntu boots quite fast, there's one nagging thing about it that irks many users. Firstly, for people who dual boot, the GRUB menu is a bit old school. Many developers have made some impressive mock ups about a better boot experience with icons denoting specific operating systems. Also a new boot logo would be a great addition to get a complete overhaul for the experience.